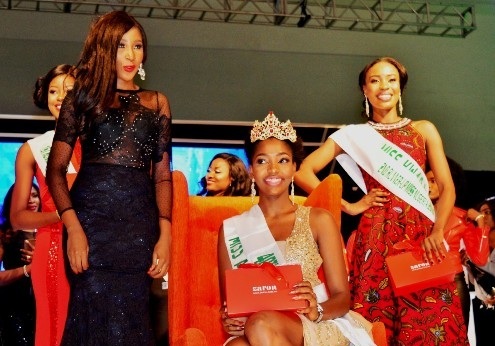 NAN: The 40th Miss Nigeria Beauty Pageant held at the Eko Hotel and Suite, Victoria Island, with excitement heralding the winner, Miss Chioma Obiadi from Anambra state. The News Agency of Nigeria (NAN) reports that the yearly event, started in 1957 when the first Miss Nigeria was hosted has continued to produce outstanding role models to the young ones. In the past years, pageantry was a family affair which seeks to bring family-friendly competition and the opportunity to be a role model. The Miss Nigeria Beauty Pageant formed a major part of showcasing the cultural heritage of the Nigerian woman. Those that have held the position had developed to be role models in the society and provided the needed mentorship for the young ones. Another thing to note in the competition is the elimination of swimwear segment and replacing it with more refined cultural attire. This was done to uphold the uniqueness and ideals of Nigerian cultural heritage. The spectacle also provided a platform for empowering the participating young girls and helping women to improve their social status. The 2016 pageant, however, lived up to expectations as the celebrities from the entertainment industry and other important dignitaries thronged the venue, Eko Hotel and Suites. It is also noteworthy that this year’s pageant coincided with the winner of the maiden edition of the Miss Nigeria, Mrs Grace Oyelude’s birthday. Mama Oyelude clocked 88 and was honoured with a birthday rendition by all the guests at Miss Nigeria 2016. In his speech, former Governor of Ogun State and former Editor and Managing Director of Daily Times, Aremo Olusegun Osoba, lauded the organisers for keeping the show alive. “I must commend the organisers for keeping our memories alive; we would have been the forgotten ones save this event. “This is a pageant that was supervised by us when I was the editor in Daily Times and I thank God that the memories are still fresh. “We also thank God that the winner of the first edition of the beauty pageant is here with us and she has yet to lose all the qualities she possessed that time. “She is 88 years today, I pray that I will still look good as she is when I reach that age,0’’ he said. The event also had popular Television Comedian, Ayo Makun (AY) and Laila on stage cracking jokes to entertaining the guests. The 38 contestants from the Federal Capital Territory and the 36 states made their first appearance in their respective traditional attire and also danced to a song by Omawumi to honour the newly crowned Oba of Benin. Their third appearance was in their evening dresses after which the judges announced the top ten finalists. 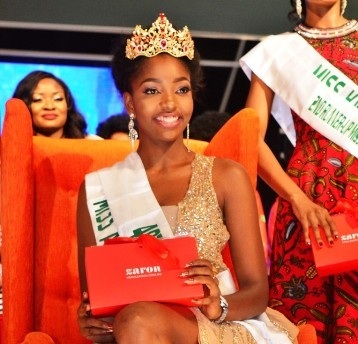 Afterwards, the contestants were reduced to five and then three, and the winner of the 40th Miss Nigeria Beauty Pageant, Miss Chioma Obiadi from Anambra. Miss Blessing Obila from Ebonyi was second, while the third place winner is Miss Shade from Kwara. Speaking with NAN, the first runner-up and a graduate of Public Administration from Akwa Ibom State University, Obila, expressed happiness being the first runner-up. “I feel very happy and it has been a great experience for me. I believe God has a plan for me by taking me this far. “I know being the first runner-up comes with responsibilities and discipline and I believe God will help me to discharge my duties as expected. “I will like to do community work and contribute to the society at large. Tonight has been a wonderful one.